It’s a notion I’ve always struggled with: that a coach can enjoy a strong degree of protection from accountability – and the sack – by dropping the “we’re building towards the World Cup” line or “everything is geared towards the World Cup”. Of course the four-year World Cup cycle offers a chance for young players to be introduced at Test level and exposed to different opponents and conditions. But in Australia it seems coaches are afforded too much leniency in the intervening years in their quest to snare the holy grail of the World Cup. It’s as simple as this: too much weight is given to winning a World Cup and not enough to success in the interim. The balance is out of whack. Fans are demanding – they want results now. Call it a short-term mindset without giving enough credence to the long game, but the reality is that a barren spell in between World Cups shouldn’t give the coaching staff immunity. Wallabies fans are rightly filthy when a 3-0 home series loss to England is followed by further home losses to Scotland, Ireland and Argentina – amongst a stack of All Blacks slaughters and European failures – and they’re told to look at the bigger picture of the World Cup. The demand for results and improvement should be most stark a year or so out from the World Cup, when those green shoots should’ve started to mature into something more significant and meaningful. And yet here we are, a year out from next year’s World Cup in Japan and the Wallabies are in disarray. Under Michael Cheika, the Wallabies have won three of their last 13 Tests and 16 out of 40 Tests since the 2015 World Cup final. Yet only yesterday, Rugby Australia CEO Raelene Castle said Cheika was safe from the axe despite admitting “universal frustration” at the team’s poor record. They are coming off a dismal, tryless 9-6 defeat to Wales and preparing to this weekend face Italy. They haven’t lost to the Italians in 17 Tests but the Wallabies are looking as vulnerable as ever. Who has come through and made an impression since the last World Cup? Dane Haylett-Petty is one. Samu Kerevi has shown glimpses that he can cut it with the best centres but injuries have been costly. No one between No.6 to No.12 has stepped up. There are new faces in the front five but none have consistently stood out at Test level. 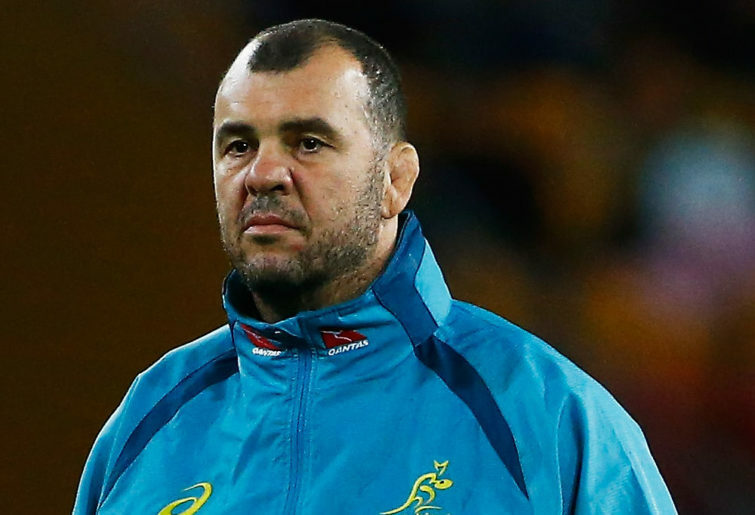 How much lower do the Wallabies need to plunge before changes are made to the coaching staff? Do Rugby Australia believe someone’s going to spread some magical dust around and the Wallabies will rocket into World Cup contention? Cheika might not be the one to go, but at least one of defence coach Nathan Grey, forwards coach Simon Raiwalui or backs coach Stephen Larkham needs to be moved on. The Wallabies aren’t progressing and the coaching dynamic needs to change. They can’t spark them up. You can slice and dice it whatever way you like but the Wallabies aren’t responding. Stability in any organisation is important, but that shouldn’t be blindly followed if there aren’t any signs of progress and success. If Cricket Australia were accused of creating a culture of “winning without counting the costs” then Rugby Australia are in danger of procrastinating without counting the costs. There’s the risk that even more Wallabies fans will be alienated if there’s no reason to believe Rugby Australia are going to search for some inspiration in the form of a new coaching structure. There are some world-class players in the Wallabies squad but they’re not lighting it up. 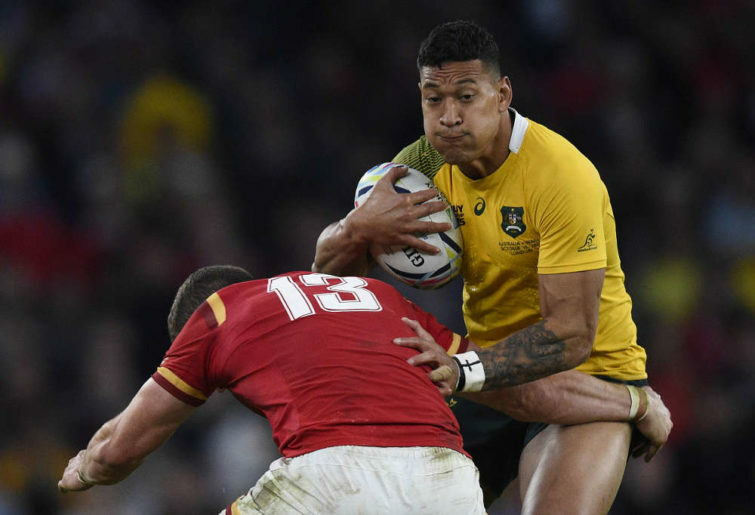 The Wallabies were dire against Wales – they were continually far too deep in attack and then went side to side without punching a hole in the Welsh defence. And when they played direct, often they were outmuscled and held up with the ball. “All I can do is get the guys improving on the things we didn’t do well today,” Cheika said after Australia’s most-recent loss in Cardiff. It seems like these lines have been rolled out in familiar fashion following another Test loss over the past few years. Fans have lost patience. In fact, if Rugby Australia had taken notice of public opinion polls like the LNP and Labor parties, then Cheika might’ve got the flick a while ago. Following the strategies of Australia’s major political parties mightn’t be advisable but being aware of public perception is important. It might work for Michael Phelps to clock off and party in between the four-year cycle of the Olympics and then come back primed to chase more gold medals. But Wallabies fans demand a decent level of success every year, even if the Bledisloe Cup is elusive. The World Cup cycle gives a chance to refresh and develop the squad, but it can’t be viewed as giving the coaches carte blanche to get bashed and bullied for three-and-a-half years. There need to be positive signs, or someone else needs to have a go even if World Cup kick-off is less than 12 months away.